Nick is the newest member of the Ringnews24 team. He likes doing insightful lengthy articles and puts a lot of research into them. He has published several top 10’s and enjoys reading fans reply’s to his work. 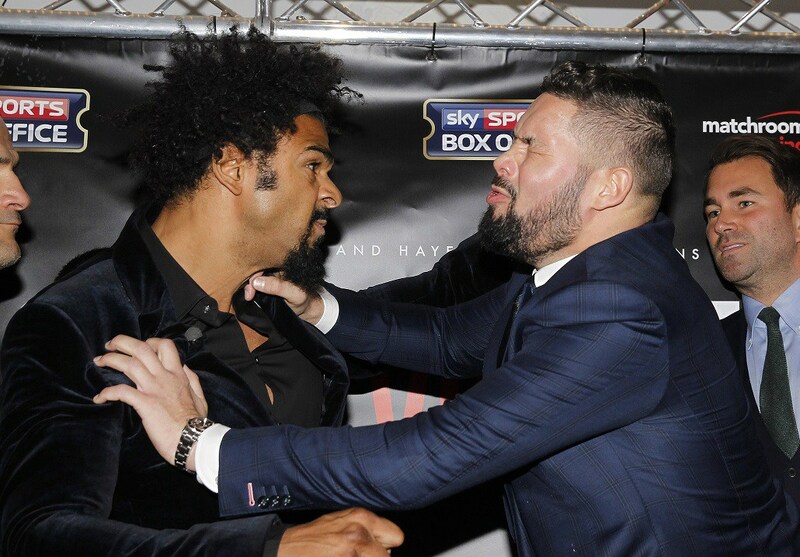 David Haye’s careers on the line against Tony Bellew His previous meeting with Tony Bellew was nearly enough to end his career, now David Haye is at very bleak crossroad, another defeat or even an unconvincing win and the ‘Hayemaker’ will be forced into retirement. The danger this fight carries to Haye’s career is nothing short of catastrophic, to say the least. That along with his defeat in the fight with Bellew and countless of ‘injuries’ that have threatened his career on multiple occasions, his reputation would be demolished. May the 5th, David Haye will have a chance to prove his critics wrong and that his defeat with Bellew was indeed a fluke and revitalize his career. Haye isn’t oblivious to the overhanging threat on his career this fight holds, saying – ‘Even if I win, if I don’t look how I believe I can, if I watch the video back and it’s not the guy I believe can beat some of these champions, then that’s it.’ Haye has a grim history of injuries delaying and pulling out of fights going way back, being advised to retire many of times before including the delay of Haye-Bellew II down to a bicep injury, angering fans who’ve heard it all too many times before. Haye will have to make a massive statement on May 5 to stand any chance of revival at this stage in his career. It all seems a bit weird to me now thinking back not too many months ago as I get flashbacks to Haye talking about his ambition to jump into the ring with world champ, Anthony Joshua, a fight he wanted to see this year should he return back to winning ways but bear in mind this was said before the reschedule of the rematch with Bellew. The possibility of that fight being made or any other for that matter hangs on the strings of a spectacular show with the Evertonian, of which we do not know if Haye still possesses. A defeat for Haye would be a heartbreaking way to finish what has been a very respectable career for not just the man himself but for his fans too and as a fan of his, I truly hope not. His career is one that is often cruelly and criminally overlooked, another defeat would crush what’s left of his legacy for the rest of time, another defeat is the final nail in this fragile coffin.